This design has special meaning because it’s named after my dear friend Susan who passed away in 2014. A prolific quilter and cat lover, her email/online name was “PatchKat.” She saw the earlier versions and loved it and always told me I needed to finish the design. And so I have and will be sharing it in her honor and memory with you. Updated 12/2/15: — this pattern is no longer available for free thru my blog. It will be available for purchase only through Electric Quilt sometime in the future but you will need to have EQ software in order to use it. For those who stitched along on this project this year (or who are still stitching – as I am) I hope you enjoy your quilt when it is finished. Please share photos in my Flickr group so we can all see your version of it. Thanks so much for all the creativity and effort you put into this, and for the reminder to be sure we had all the parts downloaded. You think of everything! Thank you I really enjoy your patterns. I really appreciate you making all installments available So i can check and make sure I did not miss any. I know it is a lot of work. Thanks for the reminder. I do really like this. Thank you very much for the alert to the end of the Patchkats. I had planned to do this project with you but my body had other plans and I ended up with life saving emergency surgery. So thank you again. I enjoy your reports on the weather. It is an interesting difference since I live 6 houses from the Texas Gulf of Mexico. I am also a paralegal. Good luck to you and have a very Merry Christmas. Wow, I just found this one. So glad to get it before it is gone. Thank U so much for sharing your quilts with us. Thank you! I missed a month a while back and was so disappointed that I wasn’t going to be able to finish. I appreciate the chance to complete it. Thanks again! Thank you so much for this wonderful pattern!! I am going back to the picture from the beginning and all of my cats will have a different block in them. Can’t wait to see it done!!!! Thank you for these blocks and planning to use the borders in Oct. I am preparing the quilt for a cat lover. Thank you for sharing. This is a lovely design. I am all caught up and ready for September!!! Cannot wait. My cats are FABULOUS!!! Thank goodness! I totally lost my senses and forgot to download some of the months. I haven’t even started yet. Thinking of a cat with a different colored tail, I though about extending or incorporating the colors in the nine patch into the tail. That might look neat with different colored tails. I found a lone scrap of what I needed so that I could piece the tail I needed. You are ahead of me as I am currently, and valiantly, trying to finish 2 quilts for my guild’s quilt show in November. I have to get more thread for one and don’t know if I’ll be able to get it. Good grief, Denise! I have all the patterns printed out, fabric is pressed and I got stopped. You are ahead of me! FINALLY!!!!! I’m ahead of you. LOL (we won’t speak of Knitter’s Gifts or DPPAS or…..all those others I haven’t finished yet) But I am determined to get this top done. Thank you for this pattern~ We had two black cats who were part of our family for over 20 years! This will be a fitting tribute. One was a boy, named Herman, and his sister was named Twidgett. I’m thinking of making the 9 patches in blues and pinks. Love this pattern and thank you for your kind generosity! Oh thank you thank you thank you android! I had checked this out on my phone and it is still there!!!! Bring on the kitty kats!!! Many thanks for the revisions – really do appreciate all you do. Happy sewing! Thanks for the revisions! I still haven’t decided on my colors for my friend and this will save me one huge headache. Thanks, Denise! I have it and printed it. Thank you for sharing this pattern. I am collecting it for my daughter. She wants to make it when she finishes school this summer. Very Beautifull ! Thank you very much Denise. Finally got my fabric ordered. I liked the 30’s repros for this but didn’t find a lot around here. Looking forward to seeing what you chose. 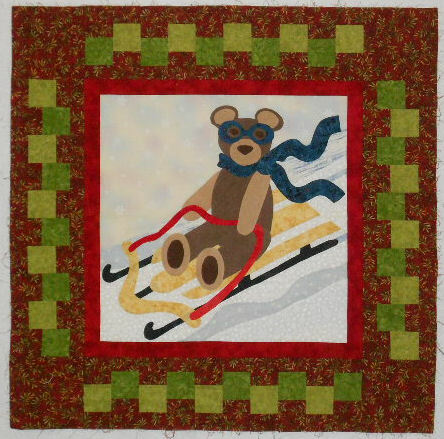 Hi I was on Pat’s Blog and saw this wonderfully sweet quilt and I said I just can’t tackle another big quilt right now but I wondered if a wall hanging could be done. I didn’t see the measurements for it? I will go look at pattern and maybe will change my mind. Size is contained in the general information download. This is just adorable. I am going to try and join in. Thanks for this! I love cats and this is so much fun. I love this…cute, cute, cute! Hooray! The wait for this start is over. This quilt will be going to a co-worker friend of mine. I just have to decide what colors to use so she will not only like the quilt, but will fall in love with it. Very cute, thank so much! This pattern is perfect for all us “kittie” lovers. I can’t wait to start this. Thank you for sharing. ok, so magic. Somehow I got onto the correct page that had the right side buttons. Thank you so much. Cute pattern. No matter what page of my blog you are on, the right sidebar buttons always show up. I will definitely need to make this—in memory of our wonderful Susan. The BOM (or swap–don’t remember which) she did had a sort of tensellating cat pattern—have that quilt somewhere waiting to be quilted. I NEED TO MAKE THIS ONE! Love the pattern Denise! What a nice thing to do in memory of Susan, she did love her cats for sure. Thank you for all the work you do in designing and offering your BOM’s. What a great design! But then all of your quilt designs are great…Thank you for your generosity in sharing it. Thank you in anticipation for this great pattern. It is irresistible and I just have to make it. I love cats and nine patches and am most appreciative of you so generously sharing it with us all. ready..ready.ready. 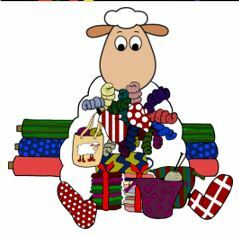 Do you think I’m anxious or what.thanks for sharing this special pattern with your friends and followers. I, of course, will make the larger size. How can I not? VBG I like the idea of inserting different 6″ blocks for the 9-patches so will proceed to Marcia Hohn’s site and look around. Wonder if she has a 6″ puss in the corner, lol! Yes, I saw that one. I think you were in the cat exchange when I joined the group. I regretted missing out on it once I figured out what was going on! So excited that this BOM is starting! Plan to make 2 wall hangings for my mother in law and my husband’s aunt. Both are cat lovers! What a wonderful way to remember a friend. Everyone who makes the quilt will know the story of how it became to be and will remember you and your friend. Can’t wait to get started. Wonderful design to honor your friend. I also read her blog and enjoyed hearing about the kitties she loved so much. Thanks for sharing your design. I am looking forward to starting the BOM. Love the birds with bunny ears and tails at the top of your blog. I love cats and this starts just in time to be a Birthday present to myself. Thank you and your Friend for this beautiful pattern + sew along. Beautiful! Can,t thank you enough. Going to use it for Live Auction item for our local humane society. Such a beautiful design – and such a nice idea to remember a friend, you and all of us who will take part in this BOM will allways remember her. 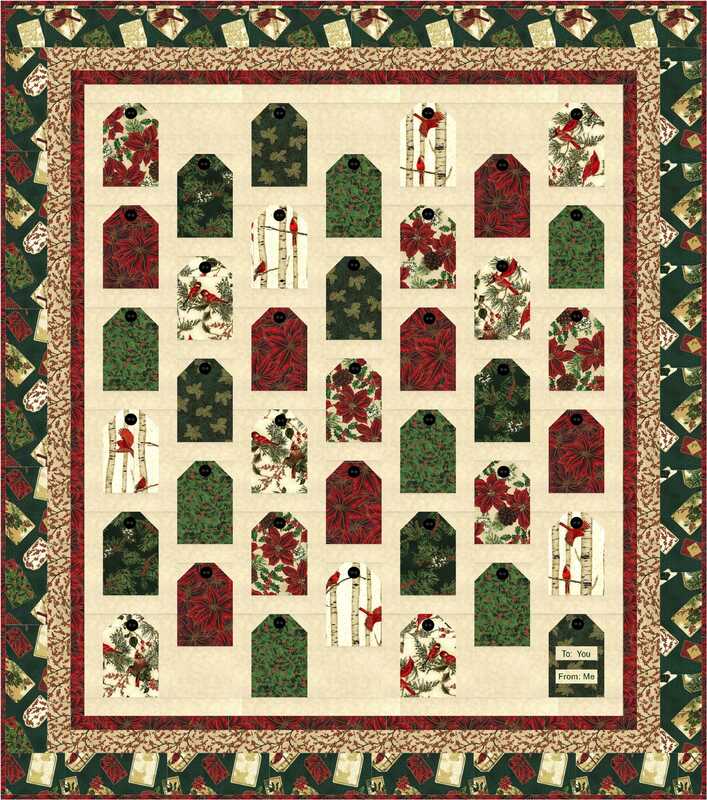 looking forward to the quilt and what a nice way to remember your friend. Oh I love it, Denise!! Can’t wait for this one to start, my mom and I love cats. Have made 2 cat quilts and 2 little wallhangings. love cats and I love this pattern. Count me in. Esperando comenzar. Un beso grande desde Argentina!!!!!!!!!!! I love cats and am looking forward to participating in this BOM. Thank you very much for it. 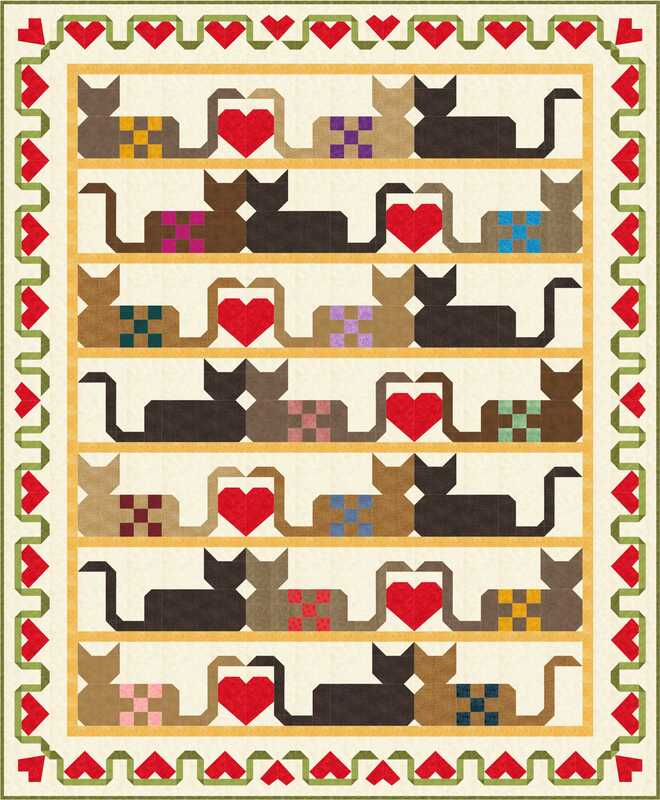 Being a cat lover, I definitely want to make this quilt! Will you notify when you put first section on line? There of course will be a blog post when it starts and more information is posted but you need to either subscribe to my blog or check back to make sure you get the info. Very cute. I would love to participate. I would like to participate too!! I want to sign up to participate in this one. I missed the dogs and for that I’m very sad because I love the way it looks and I wanted so much to get that extra one with the Santa Hat on. But I do understand your reasoning. There’s no sign up – you just have to remember to come back and timely collect the patterns once it starts. Oh, WOW, Love it, can’t wait. Looking forward to the Seeing Stars Mystery, also. Love, love, love this one!! Gotta do it! this is just adorable so many people are going to do this purrrrfect for the kitty lovers. Looks like another bom for me. I know the perfect person for this quilt. Very cute. Will have to sign up for this one. I missed the dog pound BOM and was so sorry I didn’t catch it . Will watch closer for the kitties. It does speak of Susan! I am looking forward to it! Love the 2015 BOM. Very creative. Thanks for all the work you do to make these available to all your followers. Looks so cute. Should be fun to make.